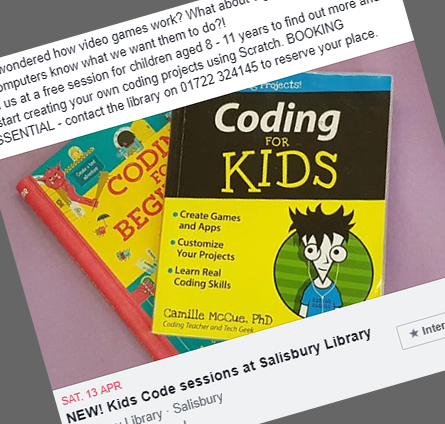 The third session of the monthly coding club at Salisbury library took place yesterday and it proved a great deal of fun. First Coding taught the children how to make their own games and hopefully left them with ideas and an interest to keep coding throughout the rest of the Easter holidays. It was nice to involve some of the parents too.